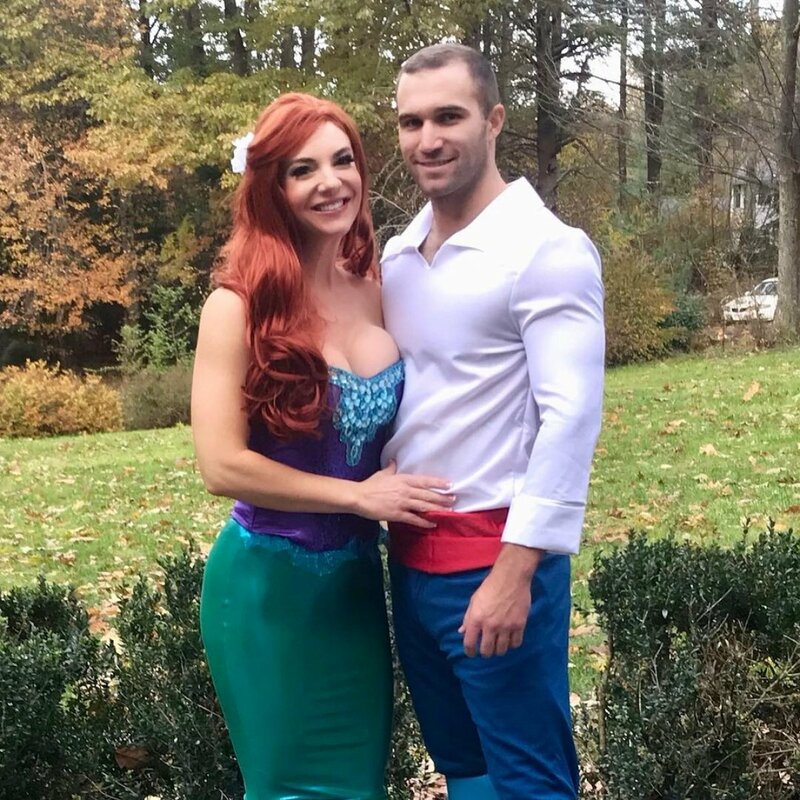 On October 31, Jonathan posted a photo of the lovebirds dressed as Ariel and the prince from Disney's The Little Mermaid. "Who said I didn't get my redhead?!" Jonathan captioned the picture on Wednesday night. Jonathan wore tight royal blue pants with a red belt and white shirt, while Jessica went all out with her green mermaid tail and tight, sparkly, strapless purple top. Jessica also wore a long red wig, and both individuals were all smiles in the photo. Jonathan's reference to redheads in his caption refers to his revelation on Season 6 of Married at First Sight, which was filmed in Boston and aired on Lifetime earlier this year, that he is very attracted to women with red hair. In fact, when his ex-wife, Molly Duff, was trying to make her husband's fantasy come true, she came home one night wearing a red wig, and the gesture clearly turned him on. Earlier this week, Jonathan gushed about his apparent love for Jessica, a psychologist who also happens to live in the Greater Boston area, in an Instagram selfie of the couple kissing. Jonathan wrote alongside the image, "I love the ocean in the most pure way I know. It's vast and deep and beautiful. When I'm on it I'm free, and when I'm in it I'm home. When life gets chaotic, it calms me. It's beautiful and balanced, yet relentless and powerful." Jonathan confirmed his relationship with Jessica in late August, but dating speculation had begun circulating several months prior, fueled by the pair's social-media activity. Jonathan and Molly's Married at First Sight season filmed in late Summer and early Fall 2017. While they decided to divorce at the end of the eight-week experiment, Molly called it quits on their marriage days before "Decision Day" because she lacked chemistry with and an attraction to her then-husband. The finale aired in April 2018. Jessica will also continue to make appearances on the franchise's new Happily Ever After spinoff starring Ashley Petta, Anthony D'Amico, Shawniece Jackson, Jephte Pierre, Danielle Bergman, and Bobby Dodd, which premiered October 30. The pair attended Shawniece and Jephte's baby shower a couple of months back, and the foursome even took a photo together.